Soldier in landing zone during Vietnam War. 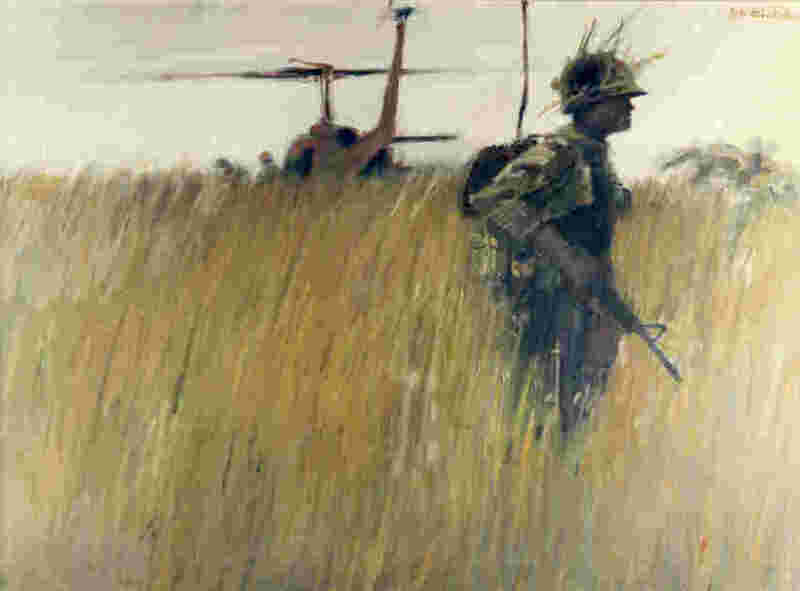 Army art from the Vietnam War is unlike Army art from any other period. In striking contrast to the more conventional artistic approaches of the world wars, the Vietnam period is characterized by a wide stylistic diversity with many artists working in bright, vibrant colors and an expressive manner.